Finn Wolf by Cold Steel 20NPF. 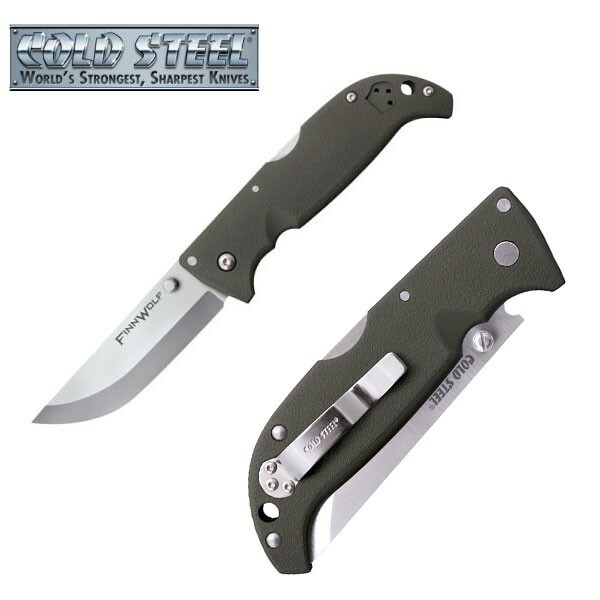 a new, hard-working folding knife. Thin, super lightweight, easy to carry and even easier to use, this modern EDC (Every Day Carry) knife is perhaps the perfect "everyman" knife. Cold Steel President Lynn C Thompson has always admired the sleek lines and dependable, highly functional blade shape of the classic Pukko. Ever since their inception in 1980, this classic Finnish hunting, and utility knife has never been far from his thoughts. Taking the classic Puukko as inspiration, Andrew Demko brought his engineering genius to a new, hard-working folding knife. Thin, super lightweight, easy to carry and even easier to use, this modern EDC (Every Day Carry) knife is perhaps the perfect "everyman" knife. 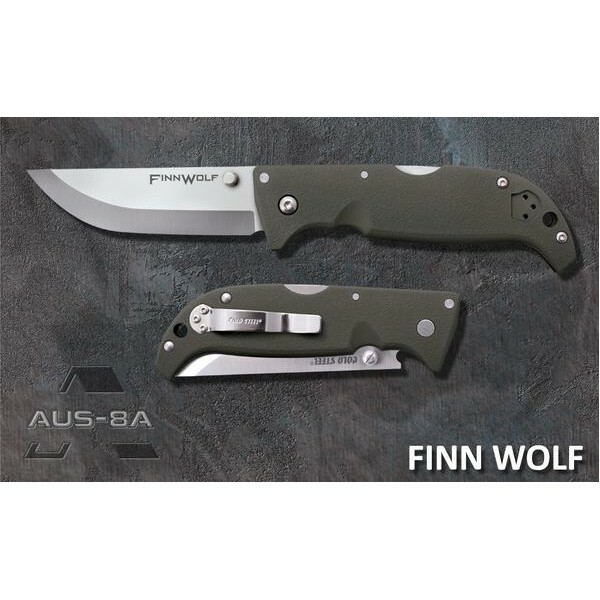 Equipped with our Tri-Ad lock, adding new levels of safety and security, the Finn Wolf is utterly impervious to shock ' making it reliable in the toughest, most uncompromising conditions. Its satin polished Japanese AUS8A blade is ready to put in long hours and hard work, and, with its keen zero ground edge it's a breeze to re sharpen.